This is a brand new load of AllSteel Terrace 6X6, 56″ tall configuration. 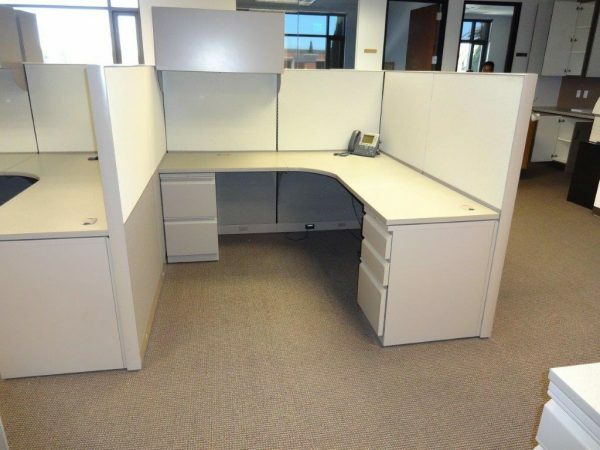 These high end used office cubicles come with one up mounted overhead storage bin, one file file, one box box file and high end fabrics and trim. These used cubicles could work in any office. The neutral color scheme and over all design provide a feel of excellence and sophistication. We have priced these cubicles to sell. We currently have 66, 6X6 cubicles in stock, they will not last long so act now.